View looking west at Washington School, located at 217 North Broom Street. 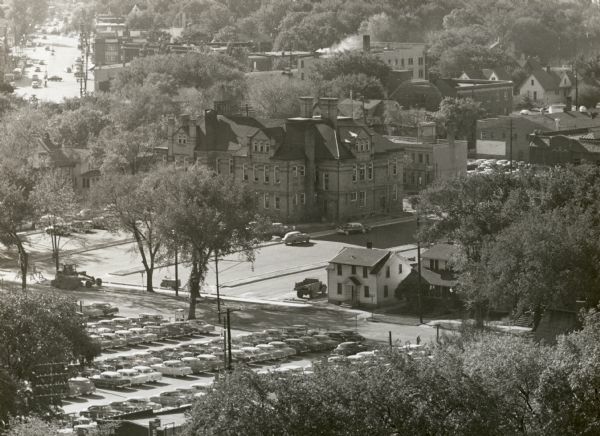 From the early 1940's until its demolition in 1957, the school was used as the Dane County Courthouse Annex. During this time its address was listed as 353 West Johnson Street.